The Biosphere Soundscapes virtual platform, developed in collaboration with cultural development agency Feral Arts, are being built with three key systems in mind. The first is the BioScapes Residencies, the core activity in implementing this global project. All of the sound, text and imagery from the BioScapes Residencies will be geo-located in the interactive Biosphere map and also available through a timeline feature to trace the history of the project and compare the soundscapes. The second system is the Bioscapes Labs, which is a more specific structure with research questions revolving around an environmental issue within the proposed Biosphere Reserve. The final system is the BioScapes Community, an accessible platform for anyone to generate content, download educational resources and engage in the global possibilities of the project. Biosphere Soundscapes launches on World Listening Day 2012 (July 18) with a field-recording lab in the Noosa Biosphere followed by a forum at Noosa Regional Gallery featuring a panel of acclaimed composers and sound artists who will participate in the future project. The second Bioscapes Lab is currently in development and will take place in the Great Sandy Biosphere Reserve. 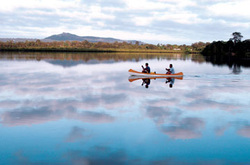 The Great Sandy Strait and adjoining hinterland has outstanding biodiversity values. 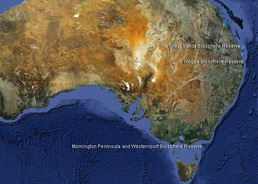 The region is one of the most diverse in Australia, spanning a sub-tropical to temperate 'transition' zone, and contains representative species from both climates, including some that are unique to the region. The Great Sandy Biosphere region covers approximately 1,239,854 hectares of land and marine area and contains many world renowned natural assets. This Bioscapes Lab will have a particular focus on hydrophone recording and understanding the marine soundscapes of the region.